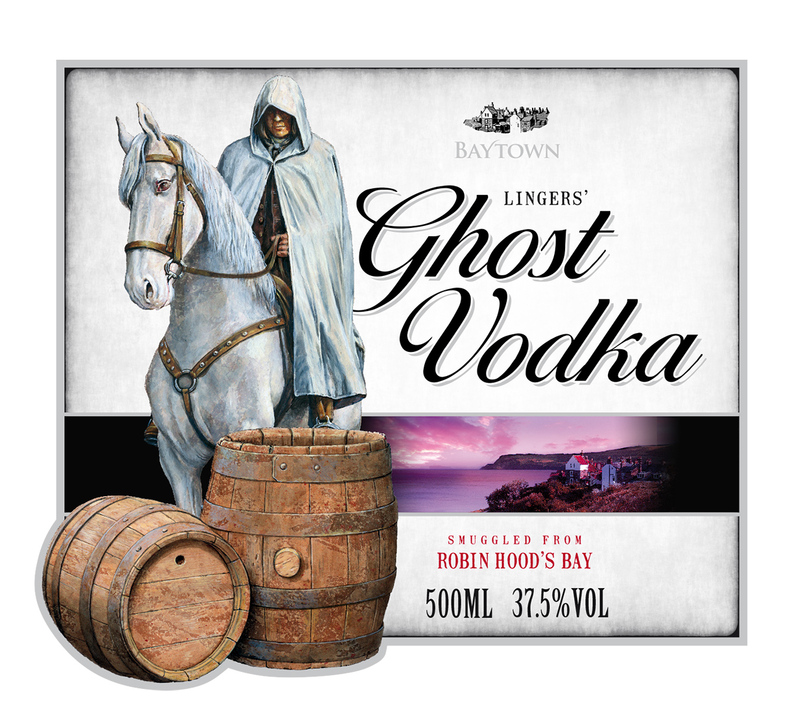 Lingers’ Ghost Vodka notes how the modern day folklore of a ghost at Lingers’ Hill, just outside Robin Hood’s Bay, has its roots in smuggling times. A rider in white mounted on a white horse would be seen out and about just before a smuggling run took place. Legend has it that before a smuggling run from sea to moorland through the village, a man dressed in white, riding a white horse, would be sent out by the squire to warn locals to stay indoors. Even today you can feel a chill run down your spine as you walk round Lingers’ Corner. It’s said the ghost of smugglers past still inhabits the spot. 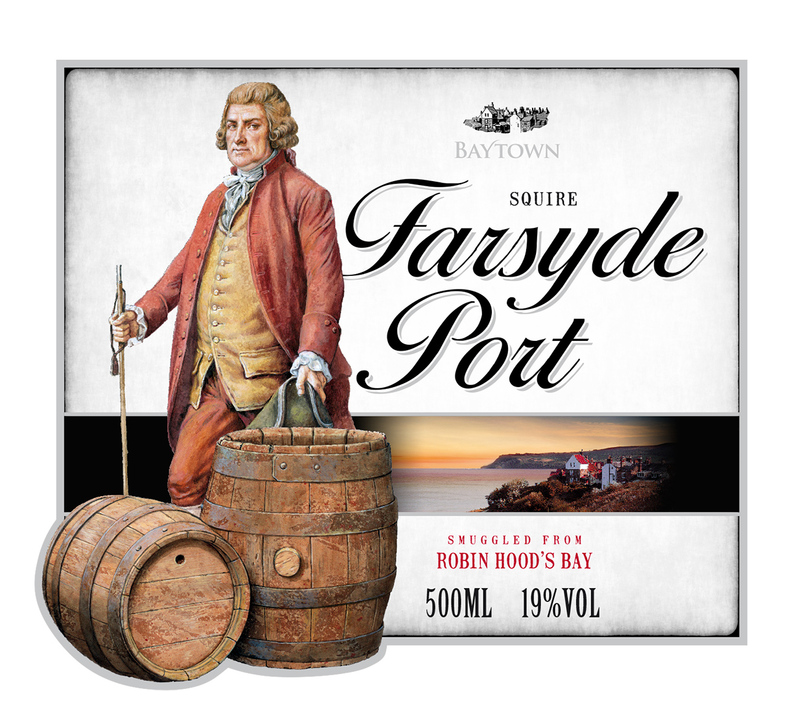 Squire Farsyde Port reminds how the local gentry, the Farsyde family of Thorpe Hall, were probably involved in funding and supporting smuggling activity. Thorpe Hall in Fylingthorpe, half a mile from Robin Hood’s Bay, had a special pit built to hide smuggled goods and it can still be seen today. 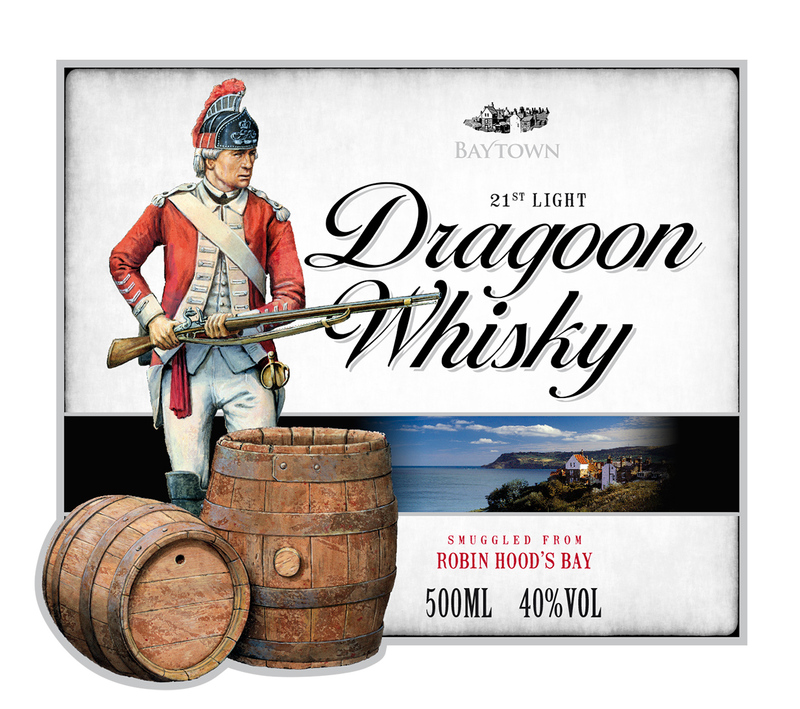 21st Light Dragoon Whisky relates how the army was brought in to patrol the coastal areas in order to apprehend smuggling gangs. The area was remote which made the dragoon’s job extremely dangerous. Tales of fights, arrests and betrayal can be found in the local archives. 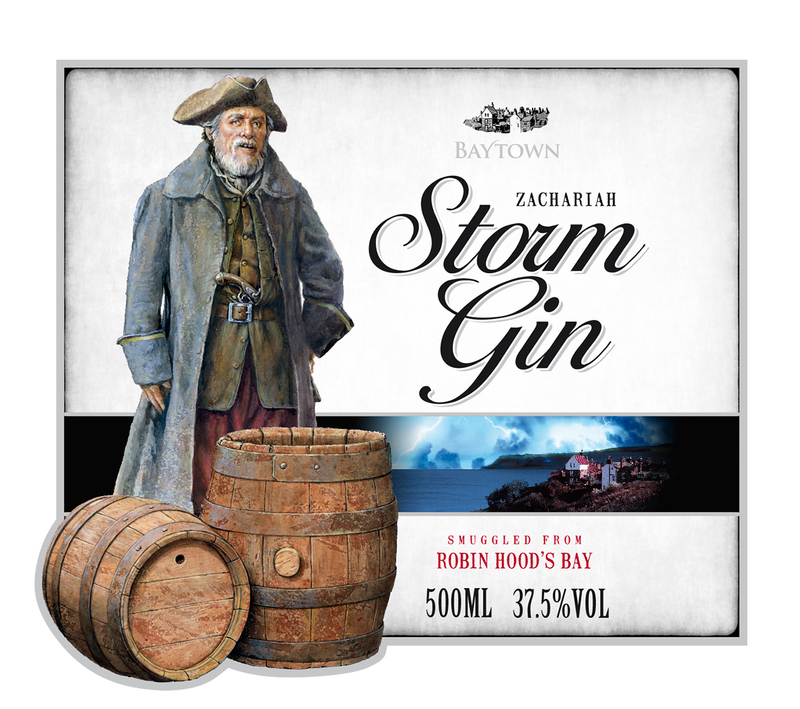 Zachariah Storm Gin highlights how the Storm family has lived in Robin Hood’s Bay for almost 500 years. It is likely that members of the Storm family were at the centre of the village’s smuggling activity.